Would you like to improve your English? With „Speak English“, you can train your pronunciation and speaking skills. Just listen, repeat & compare! 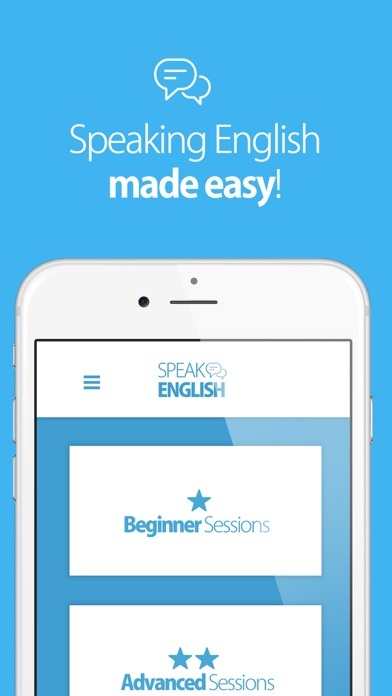 "Speak English" is an app which helps you to improve your English speaking skills naturally and easily. Listen, Repeat & Compare! 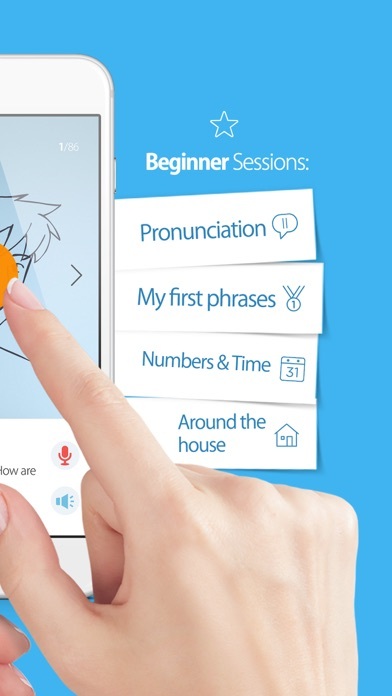 It's easy, fun and works in the same way as you learned your first language. Choose from a variety of topics, e.g. Learn and practice a lot of great phrases for your upcoming conversations. 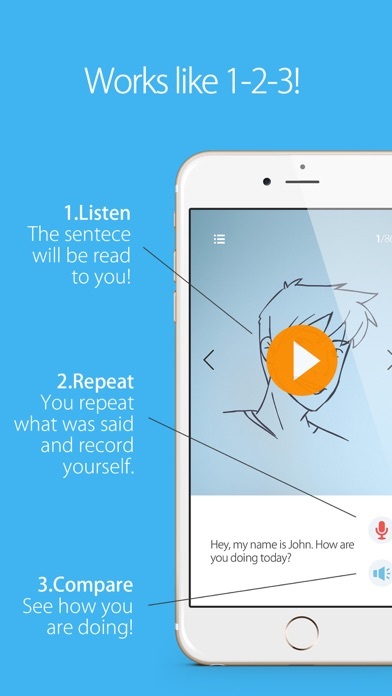 This app trains your speaking skills anywhere - at home, on the go, on the couch, at your desk, in bed, on a business trip or on holiday. Learn in your own comfort and at your own speed. Just listen, repeat and compare. 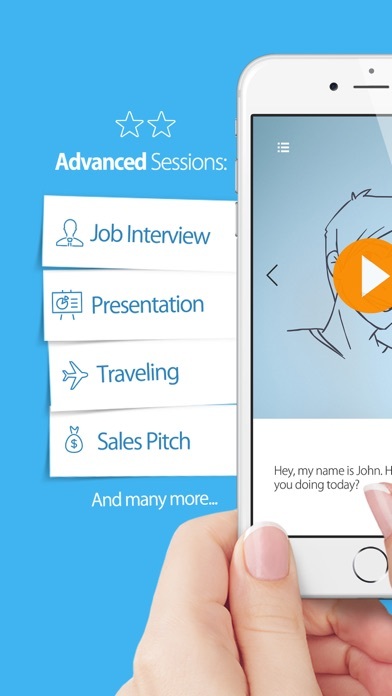 Get the app for iPhone or iPad to get started. Let’s make the world a better-speaking place!